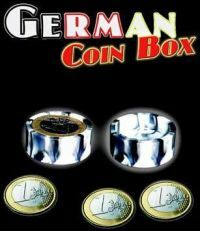 As the name suggests it is yet another coin box to add to the several varieties already on the market. But that's not all. This special precision box machined from solid Plastic is designed to serve the functions of several boxes all rolled into a single box. With this one box, you can perform virtually any routine using an OKITO BOX, a BOSTON BOX, a GERMAN BOX or COIN CUP, and more. 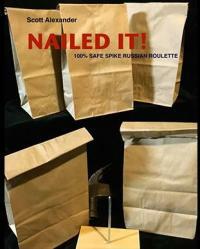 This is the one in the upper Right corner in the picture above, along with the GERMAN BOX coin boxes. The manuscript that comes with the box explains a demonstration routine for Another Box or Coin Box, that highlights some of the special features of the box, and a large reference of standard books, and effects you can perform with this prop. Get the box, play around with it, and you will find it will do a little more for you than just a standard Okito or Boston Box. 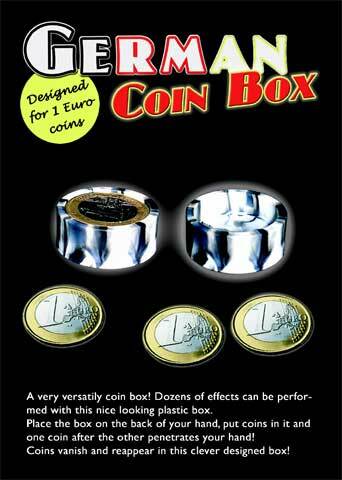 Made for coins of the 1 Euro or any coins the same size as 1 Euro . This product was added to our catalog on Friday 04 November, 2015.